Q. How is the performance of this bike? The new Pulsar 180F is a value-for-money package with improved engine, better looks and ride quality. The claimed ARAI mileage for the Bajaj Pulsar 180F petrol is 50kmpl. Q. Is it comfortable, safe and stylish? Q. Why it is the best? Q. Which bike is best between Apache RTR 160 and Pulsar 180F? Q. How much fuel does 180F consumes in comparison to 220F? Q. Which is best, Suzuki Gixxer SF or Pulsar 180 F? Q. Is the Pulsar 180F a good starter bike because I will be buying my first bike soon and I really want to buy this so I really need to know if it is good for a first or has too much power. Q. Which is better FZ FI V3 or Pulsar 180F? Q. What is the difference between 2018 model and 2019 180F? Q. Which is better Pulsar 180F or Honda Xblade 160? Q. How is 180F, if we go around 60 to 70 speed what is the mileage, road grip and comfort? The bike has not been launched yet. For more details regarding its riding comfort and mileage would request you to please wait till it hits the market and we get our hand on it. I am the owner of this bike .In 60-70 speed it gives 45 mileageAnd road grip is better I drive this bike very much It is very comfortable . Q. WHAT IS THE AVERAGE OF PULSAR 180F AND HOWS ITS MAINTAINANCE? Q. 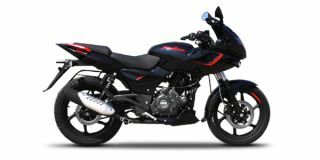 What is the price of Bajaj Pulsar 180F? Q. What is the mileage of Bajaj Pulsar 180F? Q. What are the specs and features of Bajaj Pulsar 180F? Q. What are the top competitors of Bajaj Pulsar 180F? Q. What are the top variants of Bajaj Pulsar 180F? Q. What is the EMI of Bajaj Pulsar 180F?